(Natural News) Often described as the stinking rose, garlic’s culinary and medicinal uses date back to ancient times. In fact, the father of Western medicine, the Greek physician Hippocrates, once described it as a cure for a variety of medical conditions. And right he was. Over the years, modern science has backed up many of his ancient health claims. While garlic is inexpensive in almost every country in the world, it does pay to produce your own. Did you know that many bulbs that end up in our grocery stores come from China? 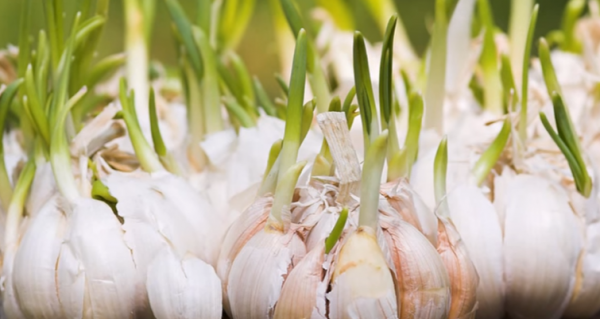 While garlic is one of the world’s most potent foods, the Chinese bulbs are covered with harmful chemicals to prevent sprouting, kill insects and whiten the bulbs for a more appealing look. Furthermore, these bulbs are often grown in untreated sewage – another good reason to start cultivating your own. Garlic is super easy to grow. Even if you don’t have a garden or balcony, you can still produce your own supply, and here’s how. While the optimal planting time to produce beautiful, large bulbs is fall, just after the first frost has passed, cloves can also be planted in late winter or early spring. Choose a sunny spot in your garden and loosen up the soil at least 12 inches deep. Next, mix in a 1-inch layer of mature compost and add a light dusting of wood ash if you have acidic soil. Without breaking the base of the clove, break up the garlic bulbs. Push the cloves, pointed ends up, 4 inches deep in the prepared soil. Plant them about 6 to 8 inches apart, and cover the planting area with a layer of 3 to 5 inches of organic mulch. Keep the ground moist, but do not over-water the cloves, since they rot quickly. When the leaves appear withered and pale, it’s time to harvest the bulbs. Loosen the soil, gently pull them out with a digging fork, wash them with water, and let them dry in the sun. To grow garlic indoors, you’ll need a container that’s at least 8 inches deep and that has holes for drainage. Fill the pot with potting soil and push the cloves into the ground, pointed sides up, 4 inches apart and 4 inches away from the side of the container. Cover with a 1-inch layer of soil, and place in a sunny spot with lots of direct sunlight; your kitchen windowsill will do just fine. Be sure to keep the soil moist and clip off the greens when they are about 3 to 4 inches tall, leaving about an inch for regrowth. When the plants begin to dry and look pale, it’s time to harvest the bulbs. Don’t forget to keep a few cloves to restart the whole process. If you have a balcony or small garden, why not try to plant them in a garden tower instead?